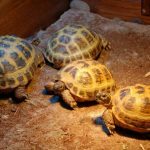 The long-term health and lifespan of your pet turtle will mostly depend on its diet, and finding the best and healthy food for your pet’s long-term diet can be quite difficult. There are a lot of commercial foods out there that you can choose, but there are also people that encourage you to feed your pet with raw food. Commercial and raw foods are both good for your pet’s health. However, it will depend on your pet if it will like it or not. 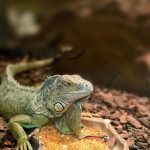 In this article, I will give you a brief food guide for your pet, as well as reviews of the best turtle foods out there. 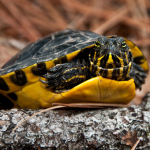 There are several different kinds of turtles that you can own as a pet, this includes a red-eared slider, aquatic turtles, tortoises, and box turtles. Each species of turtles has their own preference when it comes to their dietary needs, so the first thing that you need to do is to have your pet checked by a professional veterinarian. There are a few ways on how you can feed your pet turtle, you can either feed them in their main tank, provide them with a separate feeding tank, or you can set aside a portion of the turtle’s tank as its feeding area. It may be much better if you would set up a separate feeding area for your pet, turtles are quite a messy eater. This will also make cleaning much easier, this is because their food waste is only in one area. If you are taking care of a baby or juvenile turtle, which usually grows a bit fast and would often need food, you should make sure to give a bit more protein food than greens and fruits. 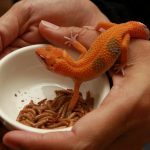 The best protein foods that you can feed them with are mealworms and crickets. Depending on your pet’s species, it can either be a herbivore, omnivore, or a carnivore. Most pet and online stores would offer pellets, chunks, and sticks, which are specifically formulated for different species of turtles. These formulated turtle food products contain a properly balanced nutrition of vitamins and minerals, which would help keep the turtles healthy. If you have a baby or juvenile pet turtle, the formulated food that you should look for must contain at least 70 to 80% of protein. For the adult turtles, their store-bought food should at least contain 50 to 60% of leafy greens. A turtle becomes an adult once it reaches 18 months, so make sure that you’ll scale back the number of proteins that it eats once it reaches adulthood. If you are feeding your turtle with an unbalanced diet for its age, they’ll be at risk of pyramiding, rapid growth, and other kinds of issues. 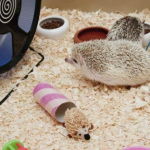 Most pellets or other formulated food doesn’t provide your pet with a completely healthy diet. Veterinarians would often recommend the owners to rotate their pet’s diet from raw, treats, and pellets to make sure that their pet turtles are provided with everything they need. Now let’s move on to the best-formulated foods that you can feed your pet with, and I assure you that the foods that I am about to review, are definitely the best ones for your pet’s dietary needs. 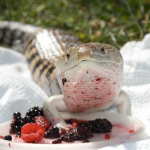 Fluker’s is one of the most well-loved brands when it comes to the needs of reptiles, amphibians, and others. A lot of pet owners trust this product and has reported that they are made of high-quality foods. The jar contains a combination of freeze-dried river shrimps, crickets, and mealworms which are packed with a lot of proteins. This is a great food option for juvenile and baby turtles. Adult turtles don’t need a lot of protein, so I do not recommend this for adult turtles. The only downside of this product is that it only consists of protein foods, you can easily overfeed your pet with this. To avoid overfeeding, you should at least feed your pet 2 to 3 times a week. This turtle treat can work as a supplement, a lot of aquatic turtle owners use this product for their pets. This food product can help stimulate your pet’s appetite. However, you should only occasionally feed your pet with this because they might like this better than their dietary meal. 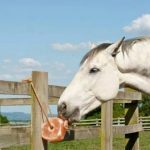 Unfortunately, this product can only serve as a treat for your pet, but it still deserves to be on this list. You can feed your pet with this in between their meals, just not too much. The only downside of this product is that it is a bit expensive than other turtle food products. This food is recommended for aquatic turtle owners, the best thing about the turtle food is that it is waste-free. It takes a long time to dissolve in the water, your pet could eat their excess food later-on before it dissolves in the water. A lot or pet owner has been happy with this product, so consider this by adding it on your list. Unlike other food products, this product comes in a bucket that weighs around 6 pounds. Your pet’s food stock would surely last for a few months or so. Here is another most-well loved brand when it comes to the need for reptiles and amphibians. Zoo Med products have a long history when it comes to providing the reptiles need, so this is certainly a plus when it comes to selecting turtle foods. 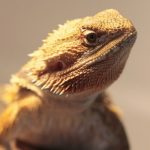 This well-trusted brand uses high-quality ingredients for your reptile and amphibian pets. This turtle food pellet main ingredients are fish, kale, and shrimp. Your pet turtle would surely love this formulated product. This product can also help stimulate your pet’s activity level, turtles can easily get lazy, this Gourmet can help increase your pet’s activity. Here is another top turtle food product that will ensure that your pet is eating the best food. A lot of people consider this product as it is affordable and comes with the right nutrients. Unlike other turtle food brands, you can just use Rep-Cal Turtle food as a treat, but you can also feed your pet with it daily. If you are too lazy to keep rotating your pet’s diet, then try considering this product. It can provide all your pet’s needs. You can follow the manufacturer’s feeding instruction for proper feeding, the only downside of this product is that it makes the water dirty. Here is another affordable food option by Fluker’s, this turtle diet is aided with nutrients and vitamins that are needed for your pet’s health. 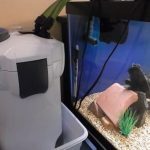 The good thing about thing this product is that the pellets would float on the water, which makes it easier to clean out the excess pellets that are left by your pet. 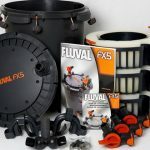 Its affordable is definitely a plus for pet owners, which is why I have added this product to this list. With the added nutrients and vitamins, you don’t have to worry about getting supplemental pellets or powders. This is an ideal protein food for large aquatic turtles, this can also be fed to other fish pets and invertebrates. Like some other turtle food products, you can use this as their staple food or as their treat. Shrimp is a favorite food of most aquatic animals, your turtle would surely love this one. This has an excellent quality when it comes to protein, so rest assured that your turtle is getting enough nutrients and vitamins. Since this product is packed with a big container, your pet’s food stock would surely last for a long time. This is another floating food product, a perfect feeding product for your aquatic turtle. Each floating stick is packed with nutritionally balanced natural ingredients, it also contains vitamins that are needed for shell growth. However, this product is only good as a treat and not as a staple dietary meal. So if you are looking for a good treat for your pet turtle, then you should consider buying this product. The good thing about this product is that your pet won’t get addicted to it, meaning you would still prefer eating its usual dietary meal. If you own an omnivore turtle then this is surely your best option in supporting its diet. The T-Rex Dry Formula is calcium-fortified, formulated, and highly-palatable for your pet’s complete balanced nutrition. This is both convenient and cost-effective for most turtle owners. When it comes to dry, pelleted food products, T-rex is the leading industry. This product is high in protein and fat, perfect for the needs of your baby or juvenile turtle. Adult turtles require little to no protein at all, if you are planning to treat your adult turtle with this, make sure that you’ll only feed it occasionally. If you are looking for a fruit flavored, store-bought food for your pet turtle, then this is the product that you are looking for. This melon-flavored, soft-moist food would definitely become one of your pet’s favorite treats. It is cut into bite sizes, it is specifically made to attract and stimulate your turtle’s appetite. Since the bite-sized food is made of a soft gel-like ingredient, your pet can easily eat it. Each bite sizes are packed with protein, minerals, and amino acids. With the product’s aroma and sweet flavor, your pet would surely find this treat irresistible. Most turtles prefer raw foods over formulated ones. However, the kind of raw foods that you can feed them with is a bit questionable. A lot of turtle owners have observed that their pets love fruits and leafy vegetables, but still, there are some turtles that are downright picky eaters. Do remember that turtles cannot take down foods that are wider than the space between their eyes. You can cut these fruits into tiny to limit your pet’s intake, you wouldn’t want to overfeed your pet. Yes, turtles can also eat certain types of flowers. However, you can feed them with these as treats. Steam or boil these veggies since most of them are a bit too dense for turtles. Remember, turtles don’t have any teeth, they only use their jaws to cut their food into small pieces. These foods can prevent your pet’s ability in absorbing the needed nutrients, and can also cause a long-term damage to their health. Unfortunately, a lot of turtles love some of these foods as treats. As for treats, there are a lot of healthy options that you can choose from. Turtles make an amazing pet, so you should at least reward them with treats in between their meals. 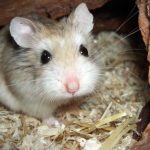 Don’t treat them too often to avoid your pet from getting a bit chubby. Fat turtles are not actually as cute as fat cats. These are the best turtle food products that you can find on Amazon, each one of this product has their own unique flavor and health benefits. Since some turtles can be quite a picky eater, you should at least try a few products to see what product suit your pet’s taste.